If it’s your first camping trip you’re probably excited and raring to go. As frequent campers we understand this excitement because being outdoors or sleeping under the stars away from the bustle and noise of the city can be very relaxing. Camping is exciting, but first-time campers can tend to be a little tentative of being outside without the comfort and security of 4 solid walls. The good news is that there is nothing to fear even if you’re a novice camper. 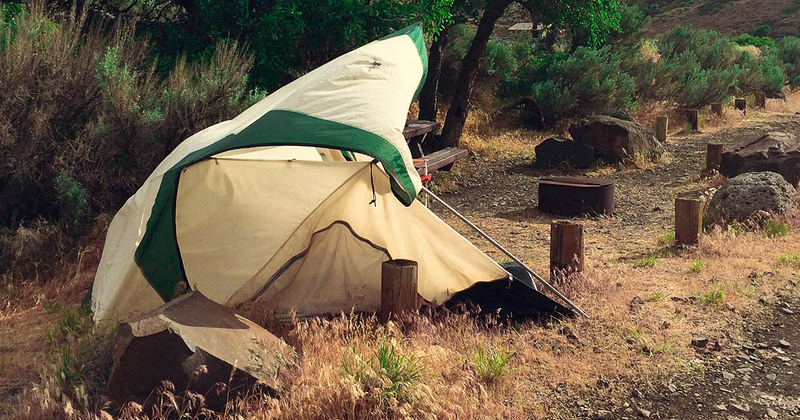 You just need to avoid these mistakes to make your camping trip special and relaxing. Not testing equipment beforehand. Always make sure that the gear you bring will actually work even before you get there. This includes your tent, gas fired cooker and even your flashlights. Anybody who has tried pitching a tent in darkness knows how hard the task is going to be. This is why it is always important to arrive early in your campsite in the daytime to avoid this problem. Relying on a fire is also a bad idea. Fires are ideal for cooking and keeping warm. But if you have to restart your fire every time you need to boil water or cook something you are going to end up frustrated and hungry. Always bring a gas fired cooker with you to make things easier. When you’re out camping in the wilderness it’s going to be dark when the sun gets down. Always bring lots of flashlights or at least ensure that you have sufficient lighting so that you won’t stumble around in the dark. Always impose a no-footwear-inside-the-tent policy. It might be annoying and inconvenient to keep on taking off and putting on your shoes but bringing them inside the tent will soon make it an unpleasant place. When camping, you don’t have access to the convenience of a full kitchen so don’t expect meals to be gourmet level. However, this does not mean that you have to eat sparsely. You can enjoy delicious meals by preparing ahead of time. Speaking of food, do not cook inside your tent. This can lead to condensation and even death. Carbon monoxide poisoning is real and has killed hundreds of campers just by cooking inside.